Cryptocurrencies are heading back to Capitol Hill on Wednesday. On March 14, a subcommittee of the U.S. House of Representatives Financial Services Committee will hold a hearing entitled “Examining Cryptocurrencies and ICO Markets.” The hearing marks the first time a group within Congress will specifically tackle the question of initial coin offerings (ICOs), an area that is firmly in the cross-hairs of agencies like the SEC as well as regulators around the world. Statements from some of the members of the Capital Markets, Securities and Investment Subcommittee suggest that the hearing will have a largely educational bent. Speaking to CoinDesk last week, U.S. Representative Tom Emmer indicated that some of those attending are there to learn more about cryptocurrencies and token sales. Other comments speak to the “appetite” for discussion that Emmer highlighted. In a statement to CoinDesk, Rep. Randy Hultgren expressed a desire to talk about investor protections as they relate to ICOs. “I look forward to discussing how cryptocurrencies can open up new opportunities in our financial markets. Specifically, I’m interested in discussing how to balance access to credit and investor protection as it relates to so-called initial coin offerings,” he said. A previously published list of witnesses certainly reinforces the informational nature of the hearing. Set to appear are Dr. Chris Brummer, a law professor from Georgetown University; Mike Lempres, Coinbase’s chief legal and risk officer; Peter Van Valkenburgh, research director for the non-profit advocacy group Coin Center; and Robert Rosenblum, a partner at Wilson Sonsini Goodrich and Rosati. The degree of legal expertise tapped for the panel suggests that the discussion is likely to revolve around regulatory topics, especially on the question of classifying some tokens as securities. The hearing represents the latest significant gathering of U.S. lawmakers around the topic of cryptocurrencies, coming over a month after the U.S. Senate Banking, Housing and Urban Affairs Committee heard from the leaders of both the SEC and the Commodity Futures Trading Commission (SEC) in early February. That event notably saw both the SEC’s Jay Clayton and the CFTC’s J. Christopher Giancarlo suggest that their respective agencies may one day come to Congress in an effort to see their jurisdictions extended to cover more of the cryptocurrency market. That said, both agency chiefs indicated that they want to provide an accommodative environment for the tech – but not at the expense of investor protection and enforcement against potential scams. “We owe it to this new generation to respect their enthusiasm for virtual currencies, with a thoughtful and balanced response, and not a dismissive one,” Giancarlo remarked at the time. Congress also has several bills related to cryptocurrencies, and while the long-term success of those measures isn’t certain in a politically-charged environment, Wednesday’s discussion may ultimately come into play as lawmakers look at proposals to beef up federal-level oversight of exchanges and study the link between cryptocurrencies and terrorism financing. 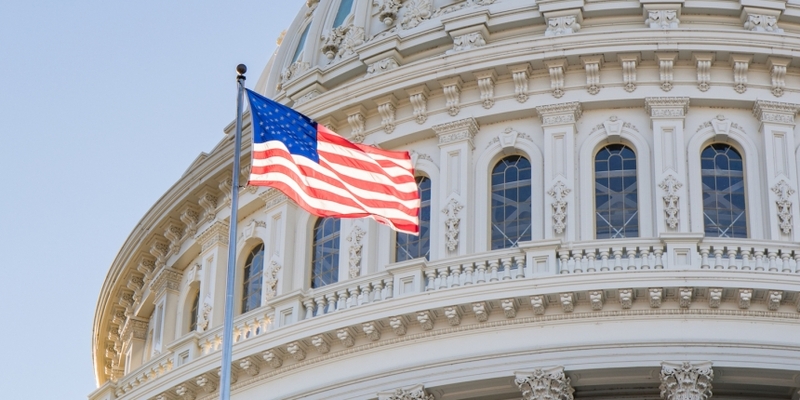 In the days following the Senate hearing in February, two House subcommittees held a hearing on blockchain, which, while it largely veered away from the topic of regulation, served as a platform for lawmakers to learn more about the technology.